Joe Fitzgerald is a born and bred San Franciscan covering his beloved hometown. Having studied journalism as a reporter and Editor for City College of San Francisco's "The Guardsman," he's covered everything from education issues to homicides. 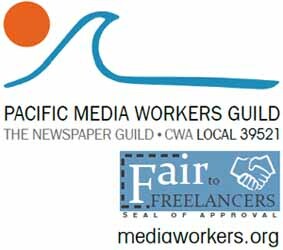 He's also an adviser in the new summer mentorship program sponsored by Fog City Journal and the Pacific Media Workers Guild. When he's not reporting, he's teaching; Fitzgerald is in his seventh year as an Artist-in-Residence at San Francisco's Ruth Asawa School of the Arts High School, giving post-production video workshops in the Media department. You can see more of his work at http://www.joe-fitzgerald.com.